As an undergraduate student at Hamilton College, Dr. Sarah Henn was passionate about diplomacy and policy. She credits courses she took from a former diplomat with opening her eyes to the complex processes involved in enacting policies within a governing body. Although she was inspired, Dr. Henn realized she was interested in pursuing a path that allowed for greater autonomy in implementing change. This realization led Dr. Henn to her career in medicine. With her background in diplomacy and an interest in medicine, Dr. Henn spent a year in Johannesburg, South Africa where she worked on HIV prevention and education. The experience proved to be a formative one, as it would spark her interest in HIV/AIDS and infectious diseases which would remain with her throughout her medical training at UVA and in pursuit of her MPH at Hopkins. Dr. Henn’s path from Charlottesville to DC and Whitman-Walker Health (WWH) was also influenced by her early research experience as a PEPFAR fellow in Nigeria. Her experience working on HIV treatment in Africa inspired her to focus on HIV in DC where she could “treat the epidemic at her front door”. For Dr. Henn, WWH provides a balance between direct patient support and community-level engagement that promotes novel changes to the provision of care. It also provides her with research opportunities, including investigating ways to expand HIV treatment options designed to meet the needs of individuals for whom barriers to obtaining care exist, HIV prevention strategies, and co-morbidities. 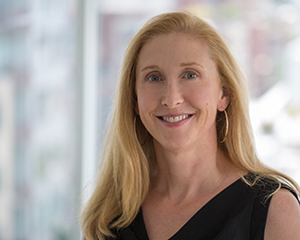 For example, Dr. Henn served as the PI on “Project Aware: HIV Rapid Testing and Counseling in STD Clinics in the U.S.”, a multi-site collaboration with Columbia University and the University of Miami, that studied the effectiveness of harm reduction strategies on reducing STI and HIV infection rates – one of the first clinical trials with HIV prevention as its focus. Dr. Henn also served as PI on a study of Hepatitis C treatment in adults co-infected with HIV. Currently, she serves as the PI on a NIDA-funded Clinical Trial Network (CTN), “Comparing Treatments for HIV-Positive Opioid Users in an Integrated Care Effectiveness Study (CHOICES): Scale-Up”, a study aimed at understanding XR-NTX adoption in HIV primary care settings. In the future, Dr. Henn hopes to engage in investigational treatment and prevention trials in conjunction with implementation science research. Her goal is to leverage the resources at Whitman-Walker to catalyze advances in public health that can be scaled up and broadly implemented. As the institutional representative from WWH, Dr. Henn values the unique perspective that she is able to bring to the table. This perspective is similar to her vision as Chief Medical Officer at WWH – to always be cognizant of how the community’s voice and needs are continuously being heard and effectively addressed in research. In addition, she believes the DC CFAR’s city-wide model – and its ability to galvanize DC’s collective capabilities and resources – to be truly invaluable. To Dr. Henn, this collection of basic scientists, clinicians, social and behavioral scientists, and public health researchers and practitioners engenders new and exciting connections and opportunities – one that would not otherwise exist without the DC CFAR. Dr. Henn welcomes the opportunity to contribute to this energizing network of expertise in her role as an institutional representative.